Sea kayaking with seakayakphoto.com: Dr John Tolmie. 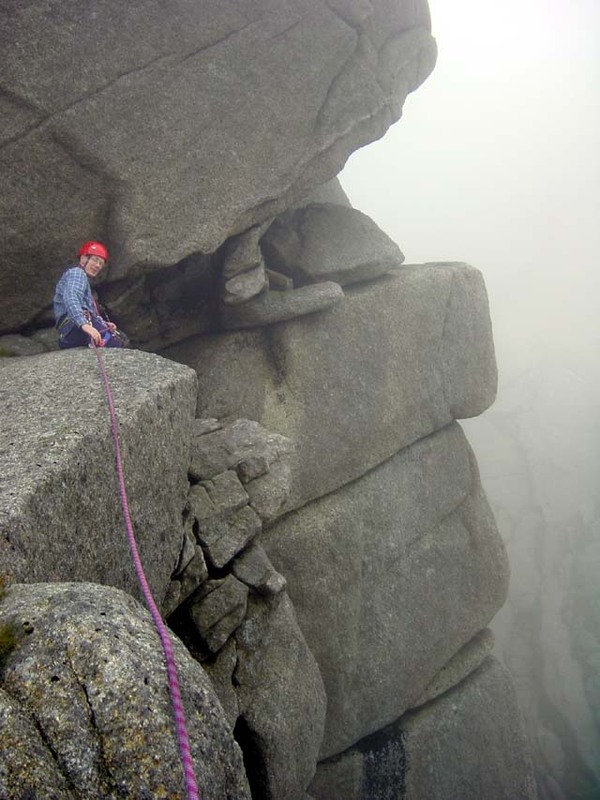 My long term friend, climbing partner, and work colleague Dr John Tolmie died in a tragic accident while climbing on Ben Nevis on Saturday 29th March. The funeral will be held tomorrow. I cannot imagine the sense of loss that his partner Cheryl and four sons, Nicholas, Matthew, Christopher and Adam, and his other relatives must be feeling. I send my sincerest condolences to them. John was one of the most considerate and exceptional people I have ever met. The clinical genetics department was a particularly happy place to work and John's good nature played a big part in making it like that. Although John was a geneticist he would still have made an outstanding doctor, whatever speciality he had chosen. He was the type of doctor a doctor would choose to go to. As a clinical geneticist, John was only too aware of the unpredictability of human life, which can often be so unexpected and challenging. Accidents happen in all aspects of life. Sometimes it is hard making sense of it all but whatever happens, it is life and no matter what has happened in the past, it can also throw unexpected good things at us in the future. When their grief subsides, I wish John's family future happiness and great fondness in remembering the great times they shared with him. I would like to take a moment or two to remember some of the times John and I shared together. We met in the genetics department at the University of Glasgow in 1975. We hit it off straight away and soon discovered our common interest in climbing. 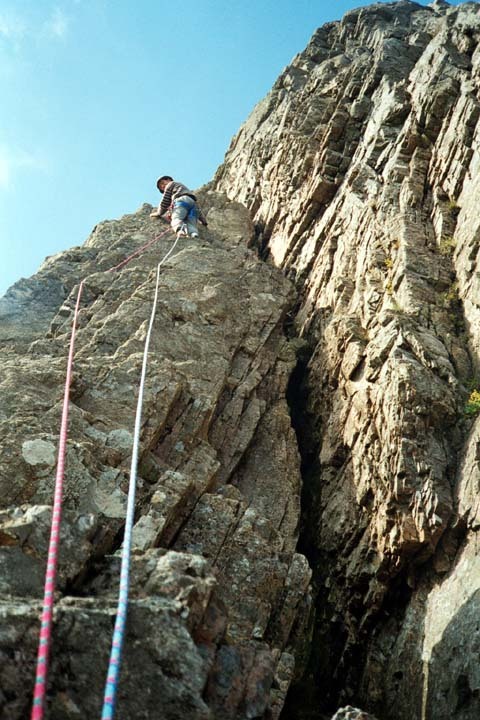 John and I never climbed particularly hard routes but we climbed together over the decades until our last climb together on the 19th of April 2003. You get to know a person's strengths and weaknesses when you go climbing with them and it was always a real pleasure to spend time with John. 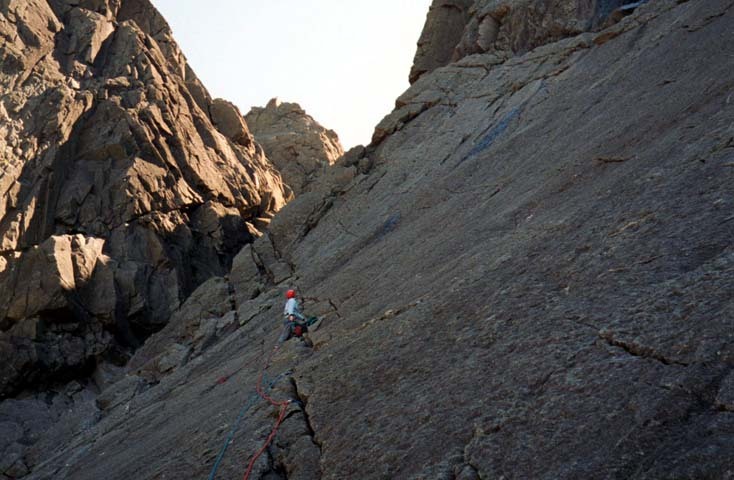 Unlike most climbing pairings, where there is a leader and a second, John and I had such similar approaches to climbing that we shared being leader. It was a true climbing partnership and we never argued. John was a very thoughtful and graceful climber. He seemed to glide his way up a climb, unlike me who huffed and puffed my way up. At the same time that we were climbing, John and I were also training in different hospitals. We met at a medical meeting in London and afterwards decided to go to an Indian restaurant. It was the only occasion I ever saw John slightly rattled. London Indian restaurants serve a very different menu to those in Glasgow and we both ordered unfamiliar dishes. John fancied the duck dish but we smelled it long before it arrived at the table. John's plate of Bombay Duck consisted of slivers of salted, dried and long matured and particularly pungent fish, which had clearly not swum for a long time. John called the very polite waiter over. "I am afraid there has been some mistake with my order, I ordered duck and this is not duck." "Sir, it is most certainly duck, this is the finest of Bombay ducks." "Well you will need to take it away, I can't eat it. As far as I am concerned, this is neither fish nor fowl!" 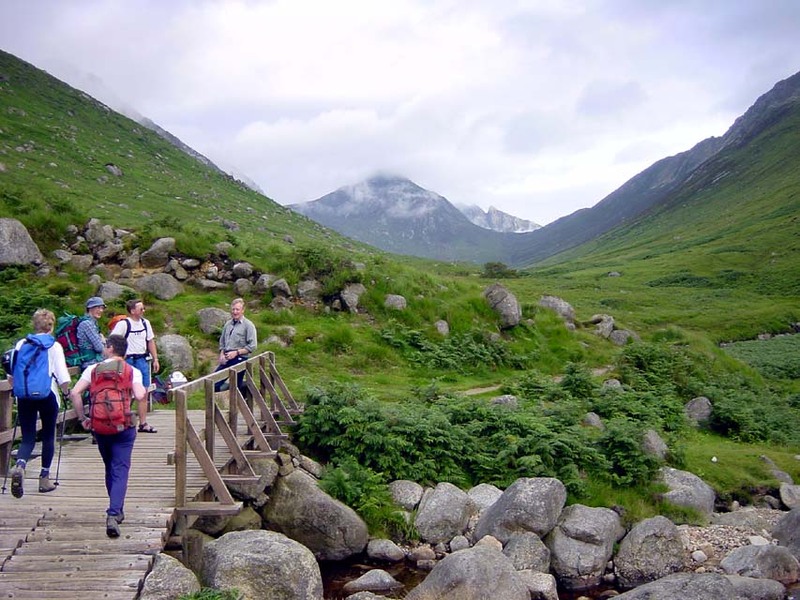 John and I shared many a laugh in the hills but very often at the top of a climb we would tell each other the "neither fish nor fowl" story and our laughter would echo round the mountains. 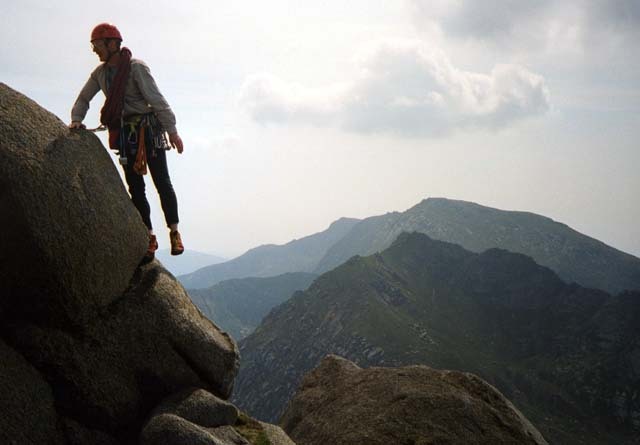 The first time my knee dislocated when climbing with John was on Integrity on Sron na Ciche in Coire Lagan in the Cuillin mountains of Skye about 2000. I managed to complete the climb but afterwards we dropped a grade or two on our outings. John never complained. On one memorable outing to the Great Ridge of Beinn Garbh in Ardgour there was a total eclipse of the sun when we were at the first belay. We chatted in the near total darkness and exchanged thoughts on our great love and appreciation of the mountains and climbing. 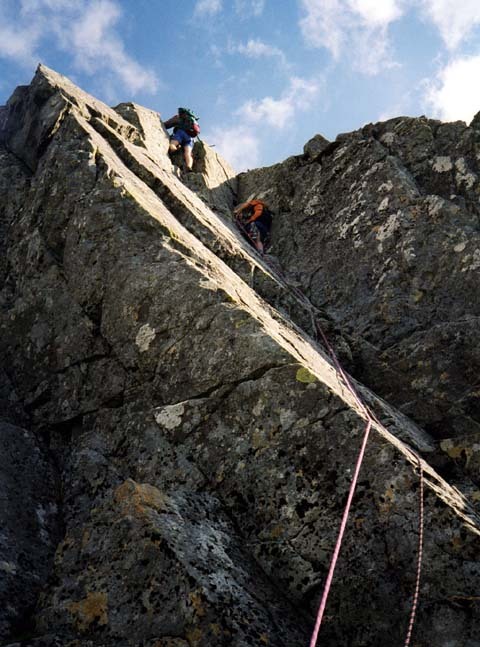 On our last climb together we scrambled up the NW ridge of Bruach na Frithe in the Cuillin then went on to climb Naismith's route on the Basteir Tooth. Although it is an easy climb my knee dislocated twice. I had a long and painful descent. John patiently stayed with me and helped me down as the other members of our group descended ahead. It was long after dark that John and I got down and we both knew my climbing days were over. Any time I passed John's door at work after that, we would exchange stories about his climbing trips and my trips in my new sport of sea kayaking. 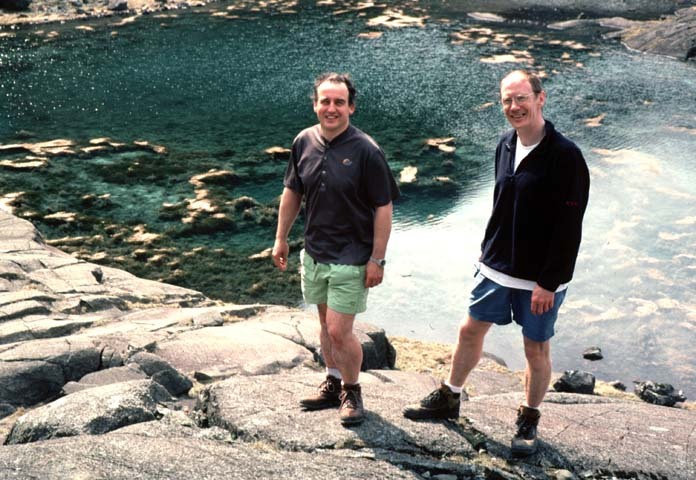 When I retired in 20011 John wrote in my card " When we are both retired and your knees are fixed we'll go climbing in the Cuillin again." 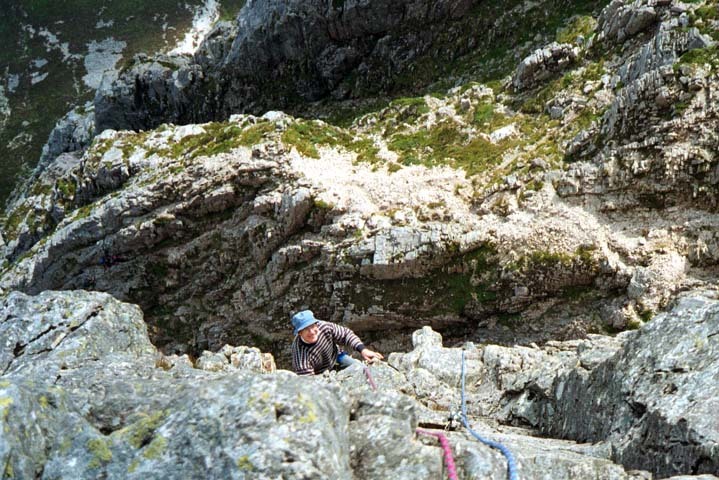 John at the top of forty Foot Corner, NE buttress, Ben Nevis. 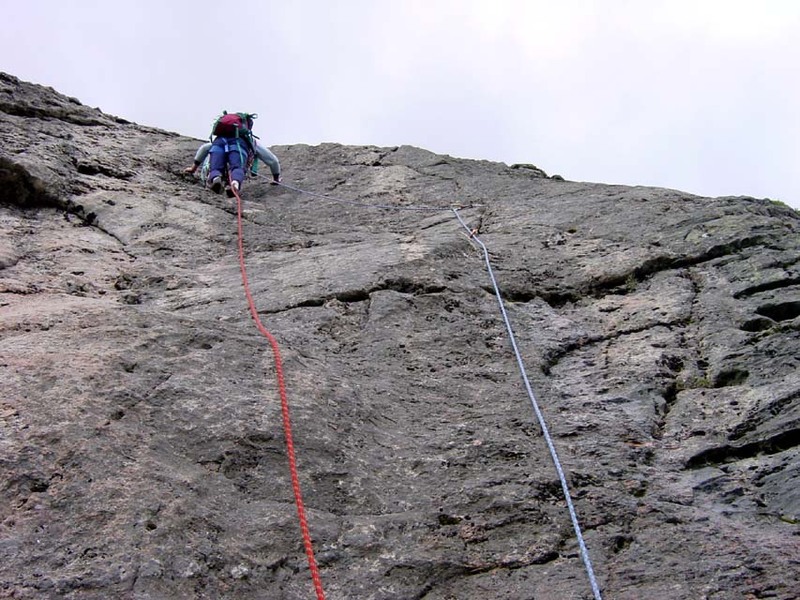 First pitch Agag's Groove, Rannoch Wall, Buachaille Etive Mor, Glen Coe. 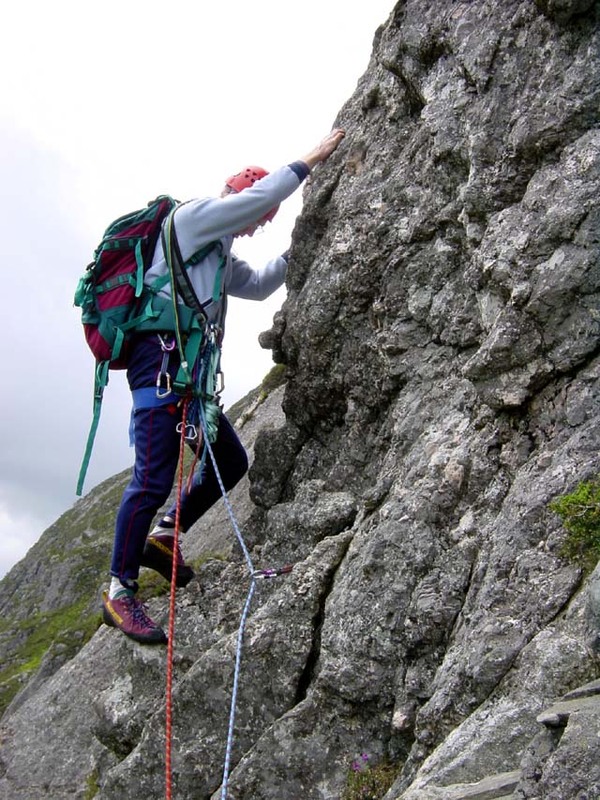 Traversing from the top of Rannoch Wall to descend Curved Ridge, Buchaille Etive Mor. 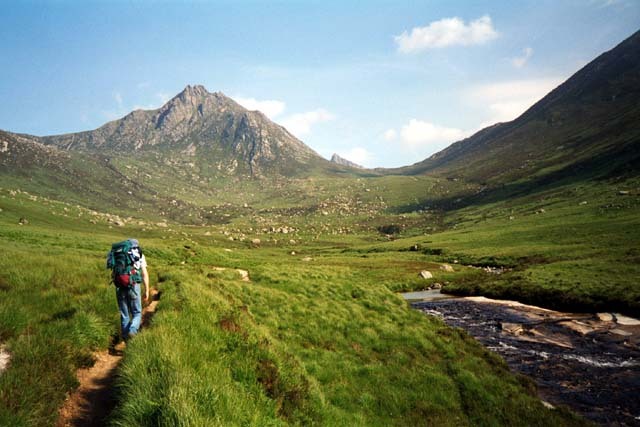 Early morning start for Cir Mor, Glen Rosa Arran. 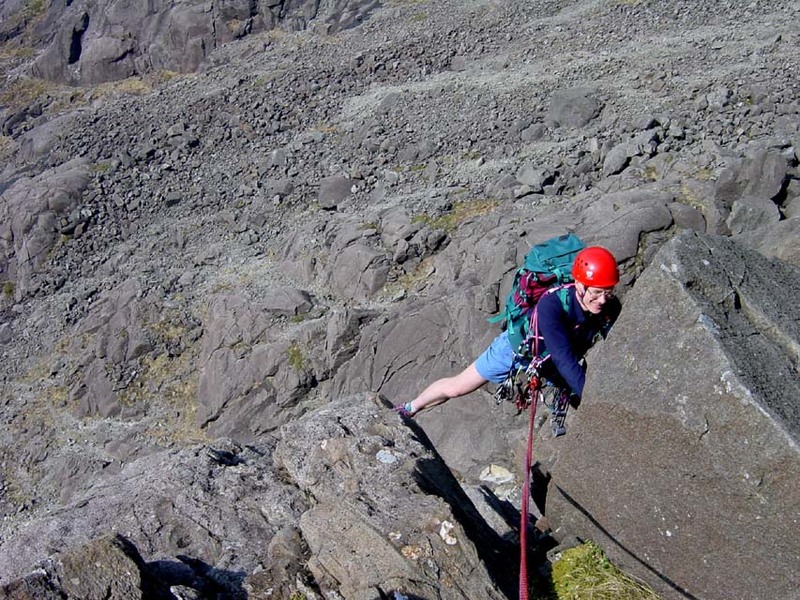 Arrow Route, Coire Lagan, Skye. Top of Arrow Route, John scouting the line of Integrity above. 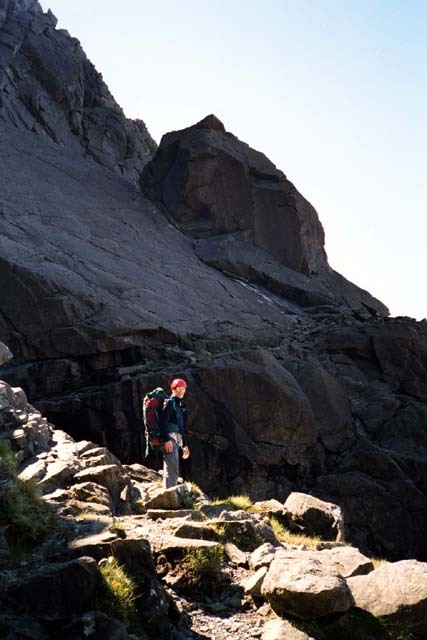 The Cioch, Coire Lagan, Skye. Ardverikie Wall, Binnein Shuas, Glen Spean. 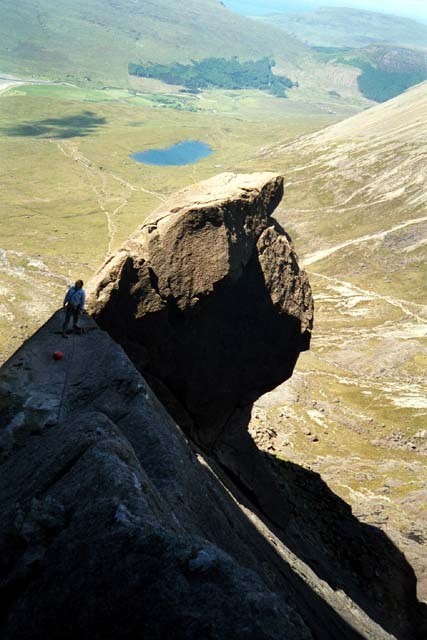 Collie's Route, Coire Lagan, Skye. 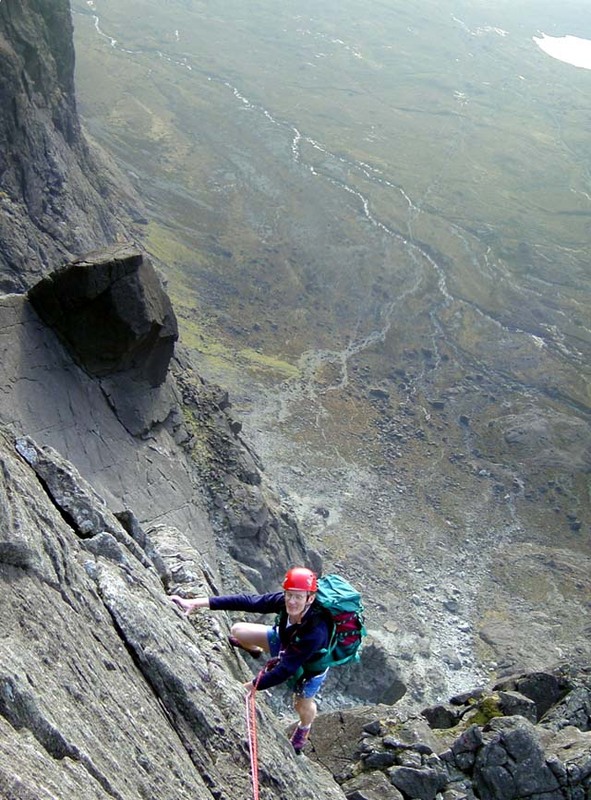 Eastern Buttress Direct, Coire Lagan, Skye. Final wall Eastern Buttress Direct. John and friends Glen Rosa Arran. 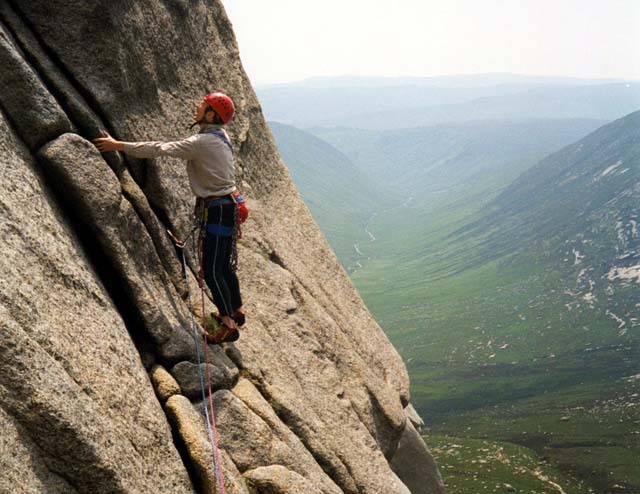 Caliban's creep, Cir Mor, Arran. 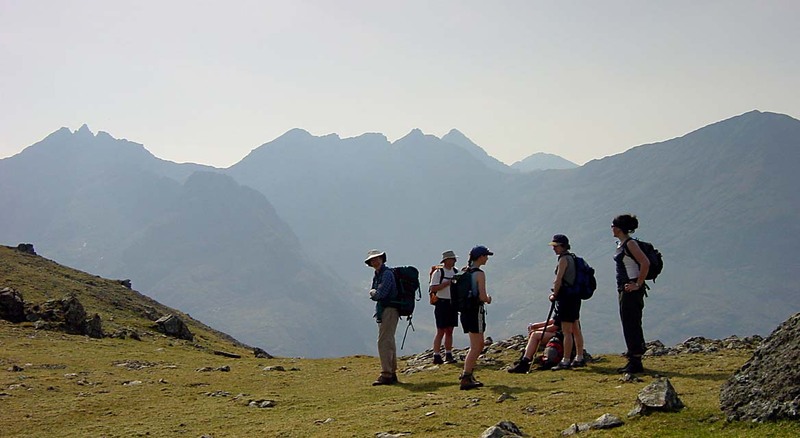 John and friends setting off for the NW ridge of Bruach na Frithe Skye on our last climb together on Naismith's Route on Am Bastier, 19/4/2003. John, thank you for so many happy days. Sorry for your loss to Douglas. We all have friends but are lucky in life if we have a few special friendships. Your post reminded me of two I also have lost. Gone but never forgotten. Sorry to hear about your friend. Sounds like you had some good times together. I am very sorry to here of the loss of your friend. 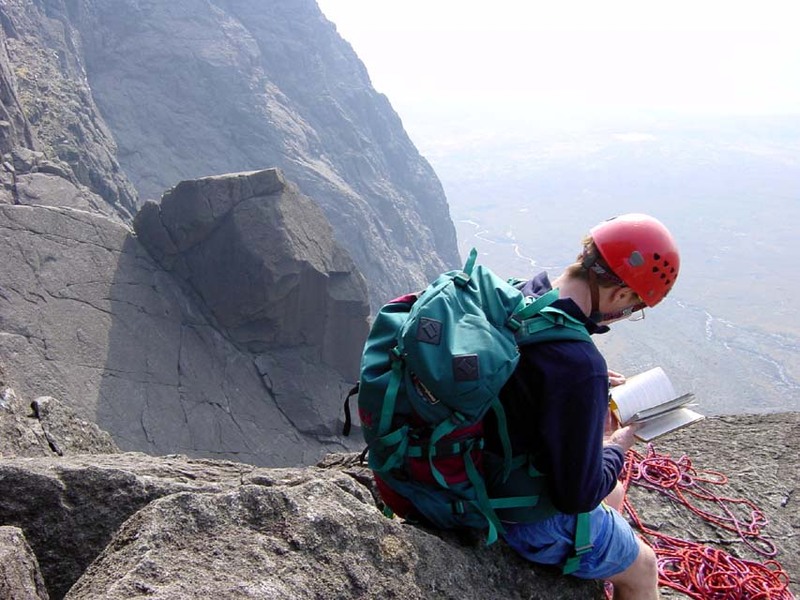 A fine tribute - I've stood near the mighty cioch with dear friends of mine & although we did not venture onto it - I know that the bond that is forged in such ventures is as enduring & unique as the gabbro itself. Marion Mitchel (from Unique) let me know today that John had died. Over the years, John and I had words shall we say. I did ask him about 13 years ago to refer me to someone that might know their bum from their elbow who might be able to figure out what was wrong with Peter!! What we didn't think was that it would be another 10 years before technology had caught up enough to actually let us have an inkling of where and what the issues might be . Sadly, due to the lack of bloods being taken early on (even tho several genetic markers were noticed when Peter was born) and an Uber zealous Registrar at the maternity unit, I don't think John and I ever got off to a good start. But I think he realised a few years ago that I wasn't a manic mother out to annoy him - just a mum who was wanting the best for her son and to find out what exactly was wrong. Condolences to you - it's not easy when a friend dies and you always wish that you had that "one more" coffee/ lunch/chat/ joke, whatever. John was really good last year with Louise when she went for some genetic testing. He did bloods himself (even though normally the GP would have done it) and had a chat with her. Douglas - after I had left the message, I realised that we may have met once when we were in seeing John many years ago. We have so many memories - both of John at work and once at the Botanic Gardens where we met him one Saturday afternoon with his boys. At the age of 3, she mugged them for their sweeties!! I was mortified, John just laughed! And the time he stood up to John Stephenson (aka the mad prof!! Fine line between madness and genius and he had a foot either side) JS kept telling me that he had said Peter ws a child with complex issues and I kept telling him he'd said nothing fo the sort, but i'd worked that one out for myself. This went on for a few minutes till John said "you know John - every time you have seen Peter, I've been there - I don't remember you saying that either". The only person in the family who hasn't had any test done yet is Paul - my youngest. The issue just hasn't some up yet and i'm not forcing it. He's doing ok and about to hit the 3rd year of the BMus at Napier. Both Lou and Paul seem to have been influenced by our experiences with Peter and this has set them on career paths that they might never have done otherwise. Paul saw that Peter enjoyed music, he was good at it and has decided he may do music therapy. It appears that neither of them will make loads of money, but at least they will be happy and enjoy what they do! One last thing - about food - At breakfast one morning at a Unique Conference - John and I both decided there wasn't a tidy way to eat a croissant!! !